A brief introduction to trade or labour unions, their function in society and how we at libcom.org think we should approach them, as workers. To most people, a union is an organisation of workers created to defend and improve its members' conditions with respect to things like pay, pensions and benefits. This is partially accurate, but definitely far from the whole story. Time and again, union leaders - even left-wing ones - disappoint us. And just like with politicians, every time they do, there's always another one telling us it'll be better next time if we elect them. The problem, however, is deeper than having chosen the wrong person for the top-spot. Unions of any reasonable size have a paid staff, and are organised like a company. You have six-figure salary earning executives, appointed middle-managers enforcing decisions from the top and a career ladder into social-democratic political parties, think-tanks, government departments. In the workplace unions are run day-to-day by workers who volunteer to be representatives, and often suffer personal costs in terms of victimisation for their troubles. However, union members and their lay reps in the workplace can also come into conflict with the union's paid bureaucracy. This is because the rank and file have different interests to the people who work for and run the union. Union leaders have to put the needs of the union as a legal entity above those of the union as a group of workers fighting for their own interests. This is because their jobs and political positions are dependent on this legal entity continuing to exist. So supporting any action which could get the union in trouble - such as unofficial strike action - is just not on the cards for union leaders. Even at regional and local level, full-timers don't share the interests of their members. This isn't to do with their ideas or intentions (lots of full-timers are ex-workplace militants who want to help workers organise beyond their own workplaces), it's about their material interests. A win for a worker is more money, longer breaks, better benefits. A win for a full-timer is a spot at the negotiating table with management, so that workers will continue to pay membership dues to the union. Some problems have been with unions since they were first founded. However others are the result of changes in capitalist society since then. Originally, trade unions were illegal, and any organising effort was met with intense repression from employers and governments. Early union militants were often jailed, deported or even killed. However, when workers kept striking and fighting despite the repression, and succeeded in greatly improving their conditions, employers and governments eventually realised it was in their interests to allow unions to be legally established, and give them a say in the management of the economy. In this way open conflict between employers and workers could be minimised, and the actual say workers would have could be drastically limited by creating complex legal structures through which our official "representatives" would speak on our behalf. And similarly the way in which we can have our say could also be regulated within a legal framework overseen by the state. This process has taken place in different ways in different countries and different stages in history, but the net result is similar. Across much of the West we can join unions freely but the actions we can take to defend ourselves from employers are limited by the web of industrial relations laws. Big barriers are placed in the way of taking effective strike action, in particular by banning any action which is not directly related to particular union members' terms and conditions and any kind of solidarity action. The unions have to enforce these anti-worker laws on their own members, as if they did not they would suffer financial penalties and asset seizure - and therefore cease to exist. Furthermore, once unions accept the capitalist economy and their place in it, their institutional interests become bound to the national economy, since the performance of the national economy effects the unions' prospects for collective bargaining. They want healthy capitalism in their country to provide jobs so they can unionise and represent them. It's not uncommon therefore for trade unions to help hold down wages to help the national economy, as the British Trades Union Congress (TUC) did in the 1970s, or even assist their national governments in mobilising for war efforts, as unions did across Europe in World War I, or as the militant US United Auto Workers (UAW) did in World War II, signing a no strike pledge. One thing which many radical and left-wing union members often argue for is 'reclaiming the unions' or, sometimes, building new unions without bureaucrats at all. The thing is, unions don't function how they do because of bureaucrats; it's that bureaucrats are created by how unions function (or want to function) in the workplace. The union's role is a tricky one: in the end, they have to sell themselves twice, to two groups of people with opposing interests (i.e. bosses and workers). To sell themselves to us, they have to show that there are benefits to union membership. This sometimes means they can help us take action to force management to maintain or improve our conditions, especially if they are trying to gain recognition in a workplace for the first time. Through getting us to join, they show management that they are the main representative of the workforce. But equally, they also have to show that they are responsible negotiating partners. Management need to know that once an agreement is reached, the union can and will get their members back to work. Otherwise, why would management do any deals with a negotiating partner that can't honour the agreements it negotiates? It is from this desire to be a recognised negotiating partner that unions end up acting against their own members. It shows them up in front of management as not being able to control their members. This is why in the UK in 2011 you get a Unite union negotiator calling a rank and file electricians' group “cancerous” just as in 1947 a miners' union official called for legal action against wildcat striking miners “even if there are 50,000 or 100,000 of them”. Similarly, at highpoints in the US union movement in the 1940s and 1970s, the UAW got its own members disciplined and fired for striking unofficially. So when unions ‘sell us out’ it's not just them ‘not doing their job properly’. They might do one side (ours) badly, but they're doing the other side really well! After all, they need to be able to control our struggles in order to represent them. And this is why the efforts of the so-called "revolutionary left" over the past 100 years to "radicalise" the unions by electing the right officials and passing the right motions have ended up in a dead-end. Indeed, rather than radicalising the unions, the union structures have more often deradicalised the revolutionaries! The only unions which have resisted this have been those that refused to take this representative role, like the historical IWW in the USA, the old FORA in Argentina and the modern day CNT in Spain. This refusal has cost them in reduced membership numbers, state repression, or both. Since the 1980s, we've seen huge attacks on workers' conditions and drastic changes to the job market. Casual, temporary and agency work have become increasingly common, with workers changing jobs regularly. In the West, many of the traditional industries of the trade union movement have closed down and been replaced by those historically less organised like retail, hospitality and the service sector. This new reality undermines traditional trade unionism as building union branches with a stable membership becomes much more difficult. However, rather than trying to keep members by helping militants organise in the workplace, the solution for the unions has been in mergers (NALGO, NUPE and COHSE into Unison, TGWU and Amicus into Unite in the UK) and in offering supermarket discount cards and cheap insurance as perks of membership. Equally, the international nature of the job market has further undermined the official unions. Workers can be employed in one country while working in another and companies themselves can move factories and offices to where labour is cheaper. For instance, in 2011, Fiat workers in Italy were encouraged by their unions to accept worsened contracts under threat of having the work moved to Poland. Meanwhile, Polish workers themselves were struggling against Fiat. However, in neither country did the unions try to forge international links between workers. Whereas their representative function makes dealing with the trade union bureaucracy extremely slow and draining for militants in them, these changes to the job market have made them more or less irrelevant for many workers outside of them. When industrial disputes come up, non-union workers feel they can't do much to support while even those striking may feel they are just going through the ritual of official strike action: management put forward a terrible offer, the union is 'outraged' and calls a one-day strike (maybe a few), negotiations restart and strikes are called off, management come back with a very slightly less terrible deal and union bosses declare victory and recommend it to their members. Workplace meetings need to be open to all workers, regardless of what job they do, which union they're in (if any) or what kind of contract they're on. We need to respect each others' picket lines. Too often workers go on strike only to see their colleagues in other unions go into work. 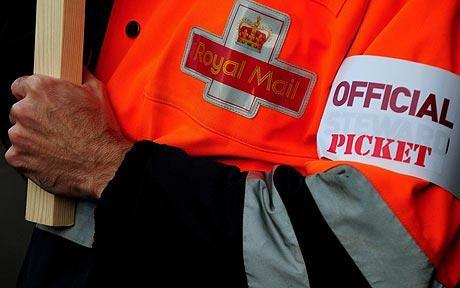 This makes all of our strikes weaker and only by sticking together can we shut down our workplaces and beat our bosses. For instance Shell tanker drivers won above inflation pay increases in 2008 when drivers from other companies refused to cross their picket lines. In the same year NUT and Unison crossed each other's picket lines in education, and neither won significant concessions. We rely on direct action and collective strength to get what we want, whether covered by industrial relations law or not. In 2008, Brighton bin workers fought back against management bullying, winning after barely two days of wildcat action. Another wildcat later that year confirmed their willingness to strike, with or without official union backing. So in 2009 when management tried to cut their pay by up to £8000 (per year, per worker), they forced management to back down just two days into a week-long official strike. Strikes need to be spread. Often issues don't just affect one workplace but whole industries and even across industries. We need to make links between our workplaces so we can come out to support each other. In 2009, when oil company Total tried to sack 51 workers, everyone walked out in support. Total responded by sacking over 600 workers for taking unofficial action. However, strikes spread across the energy industry and in just over a fortnight everyone got their jobs back. Solidarity needs to be as international as our employers. Instead of blaming immigrants taking jobs or undercutting wages, or foreign workers when factories are moved overseas, we need to support migrant workers and workers in other countries struggling to improve their pay and conditions. This will not only benefit them directly but will also mean that employers will no longer be able to use them to undercut wages of native workers either. These are not new ideas. These are things which workers – both in unions and out – have done throughout history and, in doing so, have often come into conflict not just with their bosses but also their union bureaucracy. We often see unions as an organisational framework that gives us strength. And certainly, this is partially true. What we don't always acknowledge (or at least don't act upon) is that the strength a union gives us is actually just our own strength channelled through - and therefore limited by - the union structure. It is only by acknowledging this and taking struggle into our own hands - by ignoring union divides and not crossing each others' picket lines, by not waiting for our union before taking action, by taking unsanctioned action such as occupations, go slows and sabotage - that we can actually use our strength and start to win. Unions - reading guide - libcom.org's reading guide around trade or labour unions and the role they play in modern society. Workplace organising - a set of tips and guides for organising in your workplace. From basic principles and getting started, to making demands, taking action such as strikes, and winning them. Workplace activity - our section full of personal accounts of organising and taking action in the workplace, and lessons learned from them. Organized Labor versus "The Revolt Against Work" - John Zerzan - excellent article examining how unions often participate in the exploitation of workers, focussing in particular on the US car manufacturing industry from the 1930s to 1970s (the author much later on in his life wrote a lot of terrible stuff, but we promise this is good). It is only by taking struggle into our own hands - by ignoring union divides and not crossing each others' picket lines, by not waiting for our union before taking action, by taking unsanctioned action such as occupations, go slows and sabotage - that we can actually start to win. This draft text can be discussed here, so please let us know what you think!